This article will answer common questions about K-1 visas, also known as the "marriage visa", "fiancé visa" and "green card visa." You will learn how to obtain a K-1 visa, become familiar with the form I-130 petition, forms I-765, I-290B and I-751, the documentation and other requirements that you'll have to address and other matters concerning the K-1 visa. The Internet is the relatively new phenomenon responsible for connecting many distant people around the world. With increasing frequency, American citizens are meeting and hope to marry people from other countries. Americans wish to bring their respective bride or groom to the United States to get married. The visa process can be time consuming and confusing and, before you can successfully obtain a fiancé(e) visa, certain U.S. visa requirements have to be met. What type of visa is required to bring my foreign fiancé(e) to the U.S.? The K-Visas concern the marriage of American citizens to foreign citizens. This article will deal with the K-1 visa, several different types of marriage visas. What is a K1 fiancé(e) visa? The K-1 is a visa is used by the fiancé(e) of a U.S. citizen. It allows the applicant to travel and enter the US for a period of up to 90 days for the purpose of marrying the U.S. citizen fiancé(e). If the couple marries within that 90 day period, the immigrant fiancé(e) can adjust their "status" and become a legal, permanent resident of the U.S.
Who should use the K-1 fiancé(e) visa? What are the benefits? The K-1 fiancé(e) visa generally has the shortest waiting period compared to other marriage-based immigration visa petitions and the quickest way to immigrate. If the couple is already in the U.S., the choice of which visa to use becomes much more complicated - there might be an alternative for the prospective immigrant to return to their home country and apply to the consulate located there. In addition to the short waiting period, the applicant can apply for a Form I-765 work permit to engage in employment and children can also accompany you on the K-2 dependent visa provided they are named in the K-1 petition. What are the requirements to file a petition for a K-1 visa? You will marry the petitioning U.S. citizen within 90 days of your entry into the U.S.
How do I file the K-1 Petition? What happens after the petition is approved? After the petition is approved by USCIS, it is forwarded to the American Consulate where you will then apply for the K-1 visa that has jurisdiction over your fiancé(e). The embassy will do a background check on your fiancé(e) and a medical exam will be required. Your fiancee will then be asked to submit to an interview at the American Consulate and bring all required documents and forms. Once the forms are checked over for accuracy and the interview presents no problems, the visa will be given to the applicant on the same day. What documents must you bring to the American Consulate? Is there a time limit on when the marriage must take place? Yes - you must marry within 90 days after your fiancé(e)/fiancee arrives in the U.S. If the marriage does not take place within that time period, your fiancé(e)/fiancee will have to leave the country. Persons entering the U.S. on a K-1 visa are considered a non-immigrant that has temporarily entered the U.S. for a stated purpose. Entry into the U.S. on a fiancé(e)/fiancee visa is only allowed one time. Your fiancé(e)/fiancee cannot enter, leave and return again for re-entry. One must apply for a new visa if the deadline passes. Are extensions granted if the marriage is postponed for any reason? No, there are no extensions allowed. The fiancé(e) must return to their homeland if the marriage does not take place within 90 days of the arrival of the fiancé(e) to the U.S. One may try again at another time but must start the process from the beginning. Can a person who is a legal permanent resident of the U.S. file a petition for a fiancee visa? No. Only United States citizens can file a petition for a fiancee visa. However, legal permanent residents can marry abroad and then file the I-30 application petition for their spouse to obtain an immigration visa. Once the marriage takes place what happens after that? Your new spouse will be given a 2-year conditional permanent residence status. If your spouse intends on becoming a permanent resident, he or she should immediately file for a green card. If they do not plan on becoming a permanent resident they must leave the country after 90 days. What happens if the fiancee has children? Will they be allowed entrance into the United States? Children who are under the age of 21 and named on the petition for the K-1 beneficiary will be allowed a K-2 non-immigrant visa. They may come along with or follow the beneficiary within a one year period from the date on the K-1 visa. Children coming over later than the one year deadline will have to have a petition for an immigrant visa filed on their behalf. Can an individual in the United States on a K-1 visa work? Yes, but they must first obtain a work permit first . However, the Bureau of Citizenship and Immigration can take longer than the 90 days to issue the work permit. Form I-765 should be used to apply for the work permit. When the fiancé(e) obtains a permanent status after the marriage, it will trigger the requirement to file for a new work permit. Is anyone ever denied a fiancé(e) visa? If so, why would they be denied? What recourse is there for denial? You can appeal the decision denying the visa. There will be information on the appeal process when the denial letter is sent. You usually have 33 days after the receipt of the denial letter to appeal. Use Form I-290B to file the appeal with USCIS and file the appeal at the same office that sent the denial letter. A fee will also be required. The appeal will be given to the Administrative Appeals Unit in Washington, D.C.
Advance parole is advanced permission for the non-immigrant fiancé(e) to travel outside of the United States. Without first obtaining advanced permission will cause your application to be abandoned and the fiancé(e) might not be allowed back into the United States. Why must conditional resident status be changed to permanent resident status? Because if it is not changed, your fiancé(e) will be removed from the country on the expiration date. Your expiration date will be on your fiancé(e)’s alien registration card. The alien registration card is also known as a green card. This expiration date is also the second anniversary date of your conditional residency. To get your status changed after you are married, you should apply to have the conditions removed before the expiration date. Make sure both you and your spouse file at least 90 days before the expiration date. Foreigners who married an American citizen but have divorced them because of domestic violence can apply for a waiver of the joint filing requirement. You must file before the expiration date. Also, any child of yours who has obtained conditional resident status within 90 days of you obtaining your status can have the conditions removed to become a permanent resident. What form should be filed to have the conditions removed? Who is eligible to have the conditions removed? If after two years you are still married to the same U.S. citizen, you can apply to have the conditions removed on your permanent residency. You may apply for any children that obtained conditional status within 90 days. If you have become a widow or widower after being married in good faith, you will still qualify. If you were married in good faith but the marriage was annulled or ended in divorce, you may apply to have the conditions removed as well. What are the consequences of being late on making application for the conditions to be removed? Failure to meet the expiration deadline to file form I-751 (Petition to Remove the Conditions on Residence), will result in an automatic termination of conditional resident status and an order for your deportation will be issued. A notice will be sent to you informing you that your have failed to meet the deadline and you will be given a Notice to Appear for a hearing. 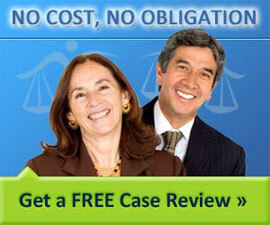 You will have to prove that you have complied with all requirements at the hearing. If you can prove in writing to the director of the Regional Service Center that you had a good cause for missing the deadline, your permanent residence status can be restored at the discretion of the director. Wouldn’t it better to just get married abroad? Not necessarily. If a U.S. citizen marries an alien while in another country, he or she must then file the I-130 petition for an immigration visa for an alien spouse. Immigration visas can take a long time - even years - since there is a limit as to how many can be granted each year. It is usually better to to first get your fiancé(e) to the United States via a K-1 visa and then get married. However if you prefer to marry abroad, see the Office of Citizens Consular Services brochure, “Marriage of U.S. Citizens Abroad”, for more information on how to be legally married abroad. Step by step, the process of applying to become a U.S. citizen. Preparing the application, the interview, required tests, the decision, success and appeals.